Wow, you guys are good guessers. I thought I was being all mysterious but clearly Im as transparent as cling wrap. 1,000 blog points goes to the Laura of Journey Chic for guessing Moscow. On Thursday we flew off to Chicago to catch a red eye flight to Moscow. The weather reports were all over the place calling for anything from pouring rain in 55 degree temps to full sun at 75 degrees. I guess meteorology in Russia is even less accurate than it is here. We got overcast skies at about 65 degrees all weekend long. Could have been a lot worse. Moscow is a very dichotomous city. Amazing architecture, preserved culture, extreme wealth in some ways, paralleled by crumbling buildings, erased history and poverty in others. Our hotel was a short walk from Red Square so we spent a lot of time in the area. Clearly the most tourist friendly area of the city, its also very beautiful and rich in history. I wasn't kidding when I said I've wanted to visit Russia since I was little. Maybe its because I was a preadolescent during Glasnost? But it was a surreal experience to be standing in Red Square. Our first stop was the famous St. Basil's, commissioned by Ivan the Terrible and built in the 16th century. Legend has it that upon completion the czar ordered the architect to be blinded to prevent him from ever recreating another structure to rival the beauty of this cathedral. Fighting jet lag weariness, we stopped to stroll in GUM, the most beautiful shopping mall that takes up an entire side of Red Square. Just like the exterior, the interior is striking - from its all glass cathedral ceilings to the beautiful steel and corbel work inside. Take a look. Pretty to stroll around in, the stores here were all strictly high end. I didn't bother even peaking inside them as its all too rich for my blood. We had a confusing meal at the Canteen on the 3rd floor, walked around a little more and called it a night. We had booked a tour guide for Saturday and had a full day ahead of us. After meeting our guide, we made it back to Red Square to learn a little more of the history, hear the Kremlin bells ring and snap a few more photos. I got brave here and snapped a quick shot of two officers outside of Lenin's tomb. I should point out that there is an extreme police presence everywhere you turn. And they don't look friendly. I should point out that while police presence is normally a good thing, its not quite that clear cut here. Its not unheard of for tourists to be stopped by police to review your papers and then extort a sum of money in exchange for your release. The idea of a armed force being so corrupt as to extort passersbys with impunity scares the crap out of me. So I was very keen on not doing anything - like snapping a photograph or making eye contact - to bring their attention on me. Thankfully, we had no such incidents on our trip. It added a little tension whenever we walked around but that was part of the experience. Speaking of the dichotomous nature of the city, the numerous armed officers about were a stark contrast to the many couples we saw in the midst of pubilc displays of affection. Lots of holding hands, kissing and loving looks were all about. Loads of newlyweds taking photos as well. We did leave Red Square at some point to see some other interesting sites. Newlyweds put a lock on one of the metal trees on this bridge and then throw the key in the river. I totally loved this tradition and think someone should steal it here. Another church that Im sure is extremely important whose name escapes me. Interesting factoid about religious services here - worshippers don't sit down to pray...they walk around and pray at different stations throughout the building. Novodevichy Convent. I later learned there is a fabulous cemetery nearby we failed to visit. Oh well, we'll have to get it next time. Our appointment with the Kremlin was nearing. My attempt at a ladies room break was halted by the discovery that at least some of the public toilets don't have toilet paper! And I don't mean they were out of toilet paper - I mean they don't have it at all. Very inconvenient if you don't happen to carry tissues. We got a break in the clouds that afternoon as we made our way to the top of the bell tower inside the Kremlin walls. I'm so envious of your frequent trips! Always interesting and amazing photos. I'm really curious... how do you feel about going for these short excursions? I usually feel that if I travel such long distances, I have to spend at least 10 days in that region/area. I'd never really considered going for a long weekend, but your posts are starting to sway my thinking. Thanks BT. Ideally, I'd love to spend more time but that isn't realistic for me. Aside from limited vacation time, I like to stay in really nice hotels so that bill would add up fast if we were staying for long periods. And on top of that, I have such a long list of places I'd like to visit - there just isn't enough time in this lifetime to get to them all. Obviously a longer trip would be more in depth but a few days in a city is usually enough to get a flavor for it. I figure I can always go back if I want do more. If I didn't go because I didn't have more time, I would rarely go anywhere. For me, going for a few days is much better than not going on all. Wow awesome pictures. I want to go to Russia now! And I love the lock tree too! I'm curious if you or your husband are airline employees and so the other gets to tag along to these great places?! As per usual, your pictures are amazing!!! Hi Sunny - No, neither of us are airline employees. We are paying for the tickets but we try to take advantage of sales (flights to Moscow were very reasonably priced for some reason. The visas were kind of pricey but it all offset each other). beautiful pictures. i love reading about all your wonderful travels! WOW! Looks like an amazing trip!!! And, as always, fantastic pictures. That's awesome the sun peeked out for you to see the golden dome. Hope you're recovering from jet lag ok! Wow. Just amazing Mrs. L! I've been curious about traveling to Russia since a friends visited there last summer. At least the overcast skies were good for pics...those colors just are so much more vivid then! You're so fortunate to have visited so many amazing places! What an amazing trip! I'm jealous! Your photos, as always, are fantastic. I especially love the one of the convent. Very cool. My husband would love to go but it just seems so *cold* and I love warm vacation destinations. You take beautiful photos! Looks like you had an amazing time! Ms. Bright - I know they say overcast skies are better for photos but I always find that not to be the case for travel photos. You just have no choice but to include a lot of sky when photographing landmarks. So its a major bummer to have flat skies for me. CJ - Its not that cold there in summer. It can get quite warm there actually..we just didn't experience normal summer temps. Wass - Thanks so much! Good to know. Hah!! Fantastic! Your photos are wonderful. I've only ever been for work and so have had very, very limited time for sightseeing. Isn't the visa application process ridiculous? It is, at least, for business. I just found out not ten minutes before reading your post that I'll be going back there this fall! I'm de-lurking to say I'm so jealous!! I've been to Moscow twice and there's something about Russia that just draws me. So fun to see your gorgeous pictures and here about your experience. I had to laugh at your discovery about the toilet paper. :) At some places you actually can PAY to get a few squares. Lol! My hubby's family is from Russia/Ukraine and I too want to travel there some day. St. Basil's looks so beautiful in your photo...I bet it was just amazing in person. And I love the lock tradition too! What great symbolism. Someone should start that tradition here! Glad you had a great trip, can't wait to see more! Beautiful photos! I love that lock tradition. I agree, we need to adopt that here. Thanks for sharing with us! I love to see all your travel photos. You get to travel a lot - luckeee! Oh you wonderful weekend world traveler you! How gorgeous your pics are! WOW, Thats all i can say. That looks amazing. I would love to go there. You have so many amazing photos. I cant wait to see more. Thanks for letting us live vicariously! That lock and key tradition really just hit me...how romantic!!! Looks like a wonderful trip - I love the locks too. Lovely pics of you and your fella too. Hey, you look a little Russian you know - maybe they thought you were one of them?! Would you mind explaining how it works with visas? I've only traveled to Europe one time and none of the countries I visited required one. I've always been curious. Looks like you had a wonderful trip. Beautiful photos. Thanks for sharing with us! You lucky little glasnost gal! :-) The photos are amazing...I love the "bell shot"...and someone totally needs to steal that lock tree idea and bring it here. Love it! I've been to St. Petersburg (amazing) but never Moscow. I liked Russia, I'd love to go back and your pics are amazing. 4DsfromLHP - Im sure there are other ways to do it but we used a visa service to get our visas. Its a fairly expensive piece of paper but there is no way around it if you want to visit. Once you find the company you want to use, you fill out the forms and send your passport and check in. I dont know how often people are turned down but we had no problems. One more thing about the visa - you need an "invitation" to visit but the visa company can handle that for a fee. Im sure there are more cost effective ways but we were in a time crunch. It looks like you had a wonderful trip. I definitely want to visit Moscow one day and I imagine I'll spend most of my time in or near the Red Square. Thanks for sharing your photos. I live vicariously through your blog.  Your international travels AND your Brooklyn limestone. *sigh* Gorgeous pictures, as always. Love the pics! I can't wait to see more. I almost made it to Moscow last year. After seeing your pics, I've decided to go. Your pictures are always amazing! Moscow looks equally fantastic! You're a lucky girl! Love, love, the pictures. You have me thinking about the long weekend vacation option too. Don't know if I could survive the jet lag but worth a try. I have to ask -- do you plan these vacations far in advance or is it a last minute decision? And if a last minute decision, do you randomly pick your destinations? Can't wait to see part 2. Totally cool! What an adventure! I LOVE impulse travel! Awesome trip and photos as usual! Thanks again for taking us along with you via your wonderful photos! Hugs from Conroe, TX! Yes Moscow is a wonderful place...the sign said, Square exit! Incrediable pictures. I find it fascinating that you went to Moscow for the weekend. Kudos for you and your husband for doing something so out of the ordinary. Anon - This trip was definitely last minute - booked only 2 weeks prior - but most of our trips are a little better planned out. Shorter trips tend to get booked a few months out, longer trip planned more like 6 months in advance. We try to take advantage of sales and deals but its hard to just pick up and go for a longer period than a few days. Wow, fantastic trip! I love that you chose to go to Moscow! That's been on my to-travel list for ages and your photos really make me want to get there sooner rather than later. Whoa, what a wonderful trip- youre pictures are amazing. I have to say that Russia has never really been on my list of places I have to go, but after these pictures and reading about your trip, I want to visit now! Wow, awesome pictures!! You are right about the dichotomy between the brightly colored buildings and gold leaf roofs yet the overall "grayness" everywhere else. Sounds like a really cool trip. Looks like a fantastic trip! I hope you got a stamp on your passport?! I loved your passport art project, by the way. The sign literally reads: "Pathway closed"
Hi, I'm curious about your photos - they are so beautiful and full of contrast. What camera do you use, what setting? Do you photoshop the pics? I'm asking because you manage to photograph light without distortion, I've never been able to do this! And the colours....while the sky is gray, the buildings have so much colour in them! Thanks for sharing! Ah, I lived in Moscow and I just came home a few months ago. This made me oh-so homesick (although, technically, I'm home now). I want to go back so badly now! Also, the name of that cathedral is The Church of Christ Our Savior. It was destroyed during communist rule but rebuilt in the 90's. While it was gone, the foundation was turned into a giant pool and it was the largest outdoor swimming pool in Europe. That was why it was one of my favorite churches there. Wonderful photos, thank you for sharing. I grew up in the USSR and visited Moscow many times as a child. I came to your blog because we are remodeling an old Victorian house in San Francisco. Love your designs. I love seeing your pics! I found your blog when I googled a search for painted drop cloth shades! I love Moscow - we have 2 children adopted from Moscow, so we spent about a total of 5 weeks there. We stayed with a host and lived in her flat. Incredible experience to see Moscow with a native! last picture says: " entry/passage is closed"